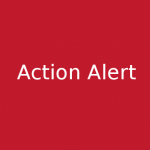 Letter to Governor Polis: Sign SB181 into Law 2019-04-06- Now that the State legislature passed SB 19-181 Protect Public Welfare Oil and Gas Operations on April 3, it is on Governor Polis’s desk awaiting his signature. If you would like to encourage him to sign this bill, you can sign on to a letter sponsored by the League of Oil and Gas Impacted Coloradans at this link http://www.coloradologic.org/letter-to-gov-polis-sign-sb181-into-law/ You can read the bill here https://leg.colorado.gov/bills/sb19-181 Note: Broomfield Concerned is a neighborhood group under the umbrella of LOGIC. “What can I do?” you ask? Simple. There are many ways to make a difference. From the simple act of writing a letter or an email, to showing up at an event, to hosting a small group at your home. Learn about proposed projects and the potential impacts on Broomfield’s neighborhoods, schools and drinking water. Share what you learn with your neighbors. Use our signup form in the right of this page to sign up. Invite in a few of your friends or neighbors to a wine or coffee gathering and we will provide a speaker to tell them about current and future oil and gas development in Broomfield. By calling, writing a letter or email you help raise the voice of concerned citizens. Consider sending a short email, a postcard or a letter to any of the following, letting them know you have concerns and asking for a response. Download a contact list for Broomfield here. Download a contact list for state elected officials, state regulatory agencies, and federal elected officials for Colorado here.